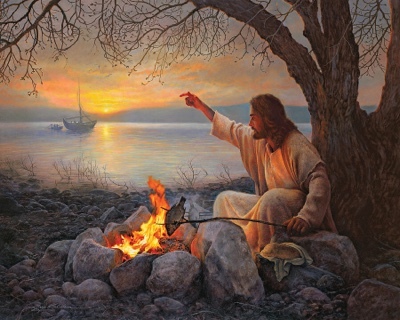 Hook and bullet Jesus built himself a campfire. John 21. All good, but get yourself some Carhartts, and a decent pair of boots. A white cocktail dress and sandals is no way to go through the wilderness.